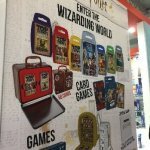 The end of January was an important occasion for the toys and games industry: Toy Fair 2019. 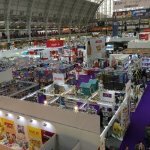 Each year in Olympia London, Kensington, the industry’s largest melting pot of toys and games companies exhibit thousands of their latest and greatest products to an audience comprising mainly of buyers, retailers, and media . 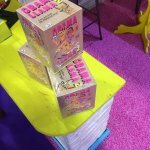 Having only just joined the Giraffe team, I approached the Toy Fair as a complete newcomer to the toy industry with only memories from my childhood acting as a reference point. 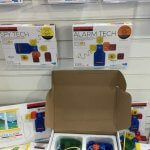 However, with such technological advancements in the toys and games industry, there seems to be growing concerns about SMART toys putting children’s safety at risk. To find out more, I headed over to TÜV Rheinland’s stall – a global provider of technical, safety, and certification services. 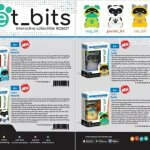 Here it became clear to me the importance of thorough interpretation of data protection and privacy legislation, especially when testing the safety of toys that collect information for registration and product activation purposes . Only time will tell how successfully regulators and safety testers will keep up with the rapid development of smart toys. There is evidently an overwhelming demand too: during the 2018 Christmas period Hawkin’s Bazaar’s most searched-for brand online was Harry Potter . Furthermore, collectibles have continually increased in popularity, growing by 26% year-on-year to account for 11% of global toy sales . 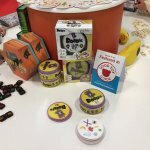 I was interested to see that, in the same way as the recent revival of vinyl records, board and card games have gained increasing interest amongst millennials . Offerings from companies such as Cartamundi and Big Potato Games seem to adopt a more contemporary, engaging approach, shifting away from the ‘bored’ games stereotype through: the use of bright fluorescent colour schemes, reducing the time taken to read the instructions, and reducing gameplay time. 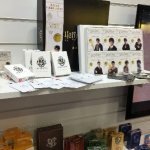 Seeing how much toys and games have changed since my own childhood, as well as the associated challenges and responsibilities faced by the retailers, manufacturers, and industry regulators was definitely an eye-opening experience. 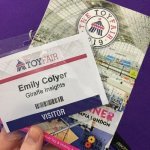 After a glimpse into the industry, it will be interesting to compare notes after our Associate Director, Sadie Buckingham, visits the New York Toy fair in a few weeks! If you are interested in booking a meeting with her, please get in touch!